Element was an Ubuntu-based distribution for home theatre or media-centre personal computers featuring a ten-foot user interface and designed to be connected to a HDTV for a digital media and Internet experience within the comforts of a living room or entertainment area. Element comes pre-loaded with dozens of applications that will allow listening to, viewing, and managing music, videos, photos, and Internet media. Rate this project Q4OS is a Debian-based desktop distribution featuring the Trinity desktop, a lightweight environment forked from KDE 3. The project's latest stable release is Q4OS 2.7 which improves scaling for high resolution screens. The release announcement states: "A significant update to the Q4OS 2 Scorpion stable LTS is immediately available for download. The new 2.7 series brings some important improvements for the Trinity desktop. 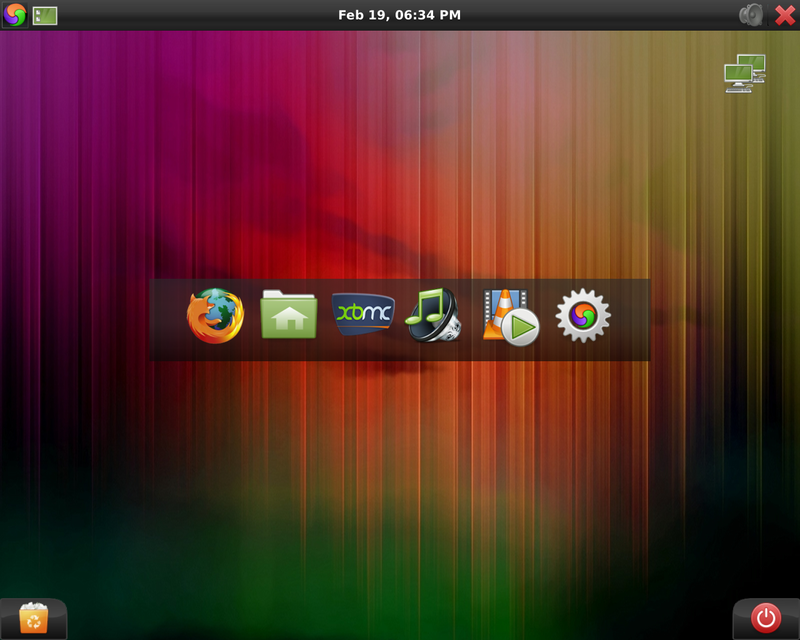 An essential change is much improved scaling ability for hi-dpi screens, making this operating system better adapted for modern computers. Desktop profiler, Software centre, Welcome screen, Setup utility, and other Q4OS specific tools have been updated to be rendered correctly for higher screen resolutions. 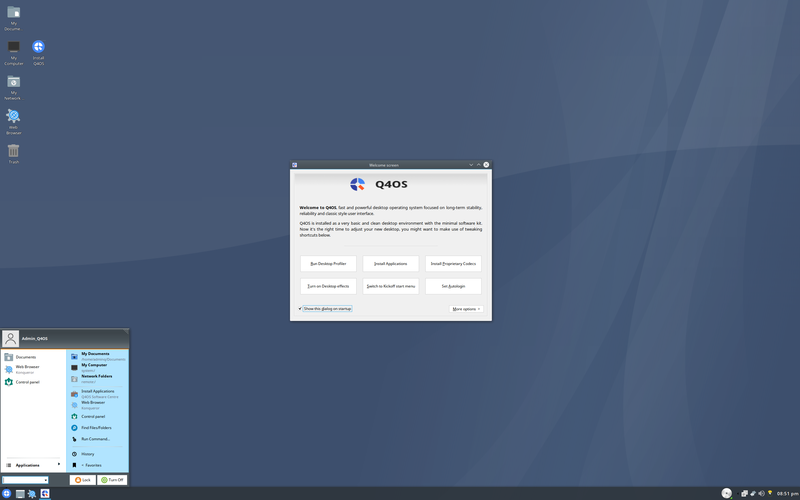 Apart from the scaling capabilities, Q4OS 2.7 brings numerous improvements and fixes, for example better GTK3 themes integration, fixes to XDG standard implementation and others. Current users only need to perform regular update of their systems to activate scaling capabilities, however we recommend for new users to download and make a fresh Q4OS 2.7 installation. Other changes include Q4OS installer improvements, Firefox 64 and LibreOffice 6.1.3 installers, important security and bug fixes as well as cumulative upgrade covering all changes since the previous Q4OS 2 Scorpion stable release." Download (MD5): q4os-2.7-x64.r1.iso (574MB, pkglist). Also available from OSDisc.